We’re back with another Decorating with Color blog post, and this time around we’re talking about using yellow in your home. This color is great for farmhouses, rustic cottages, country kitchens, family living spaces, and makes a great accent color. With so many hues ranging from almost-white to dark and golden, the spectrum of yellow allows for a number of decorating possibilities. Here are a few examples. 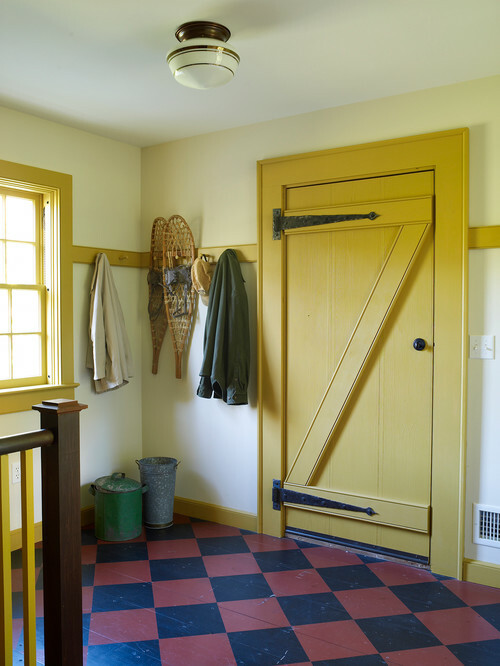 for your entire house, apply it to one room, like an entryway, mudroom or shed. This living room is grand in more ways than one, but the yellow walls enhance its sunny character. 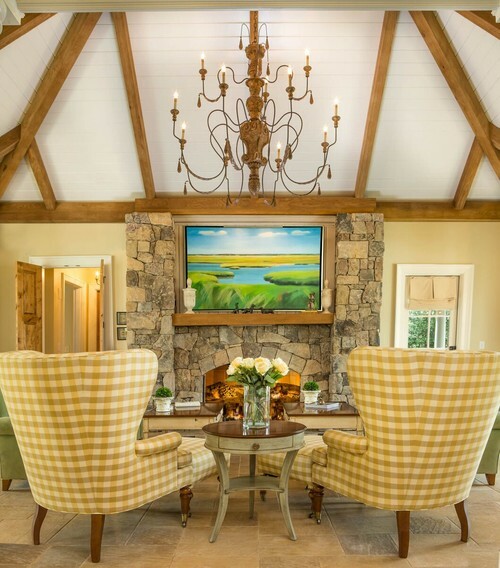 Plus, you know we couldn’t resist sharing those matching yellow check chairs and ottomans! 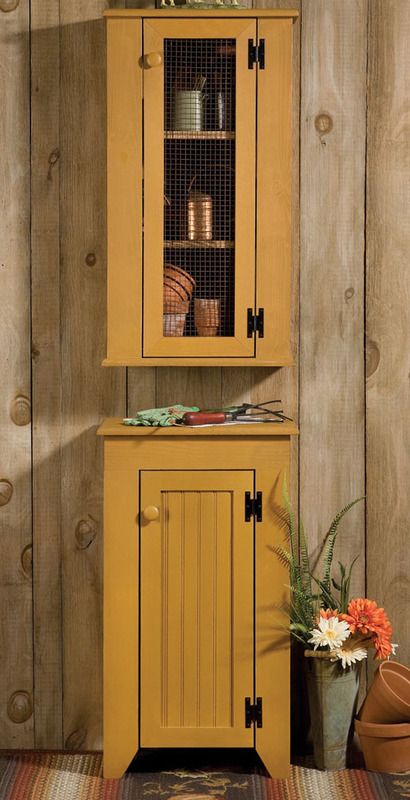 more rustic tone, the yellow offers a more natural and cozy look that ages beautifully. 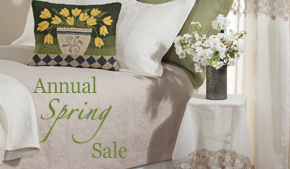 added wall hangings like mirrors or storage solutions also help break up a bold color. 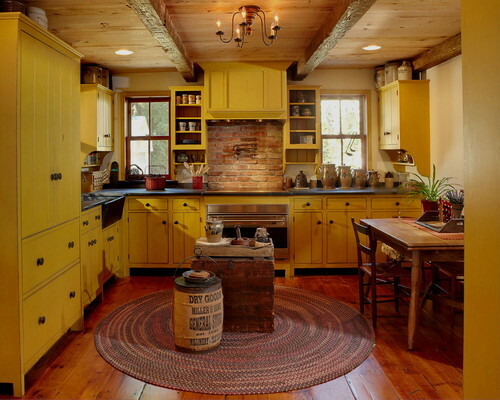 Have you used yellow in your home? your ideas or advice for incorporating this color below. 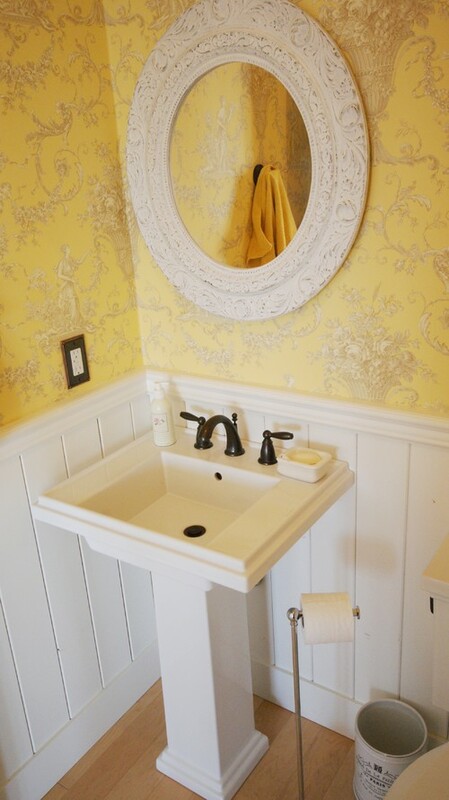 This entry was posted on Thursday, August 16th, 2018 at 10:35 am	and is filed under Bathroom, Decorating, Furniture, Kitchen, Renovating, Rugs, Thematic, Thursday's Theme. You can follow any responses to this entry through the RSS 2.0 feed. You can leave a response, or trackback from your own site.